exactly like the picture. I will go perfect with our new sink and faucet. Create a solid seal against waste products with this Anthracite metal sink flange. 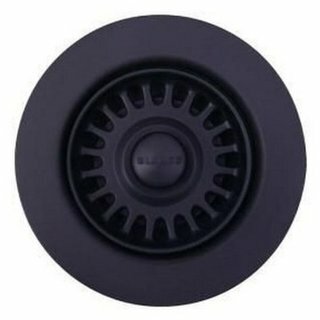 As sturdy as it is attractive, this flange also fits kitchen sinks that have InSinkErator garbage disposals. Purchased this to match a matte black kitchen faucet from Ikea. It's not an exact match, but I think it will look better than the typical stainless steel.